Our paper ``A Proposal of Data Dependence-Based Metrics for Evaluating Fault Injection Risk'' (in Japanese) was accepted for publication in Computer Software (JSSST Journal). 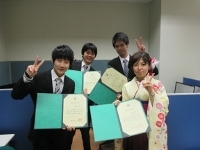 Our master course student received his master degree of Eng., and undergraduates received their bachelor degree of Eng. Our undergraduate students made thier presentations on their bachelor theses. 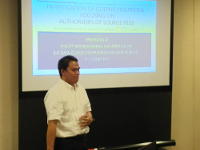 Our graduate student (master course) made his presentations on their master theses. 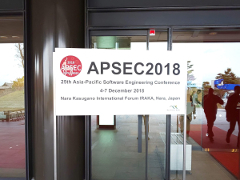 Prof. Aman made a presentation at The 25th Asia-Pacific Software Engineering Conference (APSEC2018). Our paper was published in JSSST Journal. 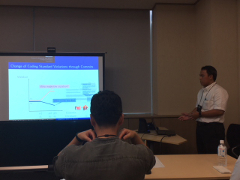 Mr. Kawakami (master course student) made his presentation at FOSE2018. Our paper ``A Quantitative Analysis on Relationship between an Early-Closed Bug and Its Amount of Clues: A Case Study of Apache Ant'' was published in IEICE Trans. Inf. & Syst. Aji Ery Burhandenny received the doctor degree of engineering! 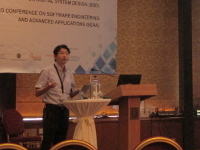 Prof. Aman made a presentation at The 44th Euromicro Conference on Software Engineering and Advanced Applications (SEAA 2018) on behalf of Mr. Tashima (a former student). Prof. Aman made a presentation at The 3rd IEEE/ACIS International Conference on Big Data, Cloud Computing, and Data Science Engineering (BCD2018) on behalf of Mr. Yamauchi (a former master course student). 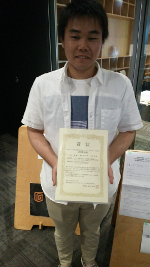 Mr. Yamauchi received the best student paper award. Our master course students received their master degree of Eng., and undergraduates received their bachelor degree of Eng. 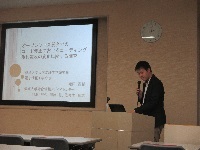 Mr. Yano (master course student) made his presentation on his paper at the IPSJ 198th SIG-SE workshop. Our graduate students (master course) made thier presentations on their master theses. 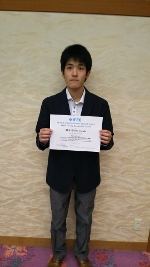 Mr. Suzuki (master course student) received the IEEE Computer Society Japan Chapter FOSE Young Researcher Award. Mr. Yamauchi and Mr. Yano (master course students) made their presentations at the poster session of FOSE2017. Mr. Suzuki (master course student) made his presentation at a full paper session of FOSE2017. Our paper (authors: Mr.Aji Ery Burhandenny, Prof.Aman and Prof.Kawahara) ``An Evaluation of Coding Violation Focusing on Change History and Authorship of Source File'' was published in the International Journal of Networked and Distributed Computing. Prof. Aman made his presentation entitled ``Empirical Study of Abnormalities in Local Variables of Change-Prone Java Methods,'' at The 8th IEEE International Workshop on Program Debugging (IWPD2017) held in Toulouse, France. Our paper (authors: Mr.Suzuki, Prof.Aman and Prof.Kawahara) was accepted for a presentation at The 24th Workshop of JSSST FOSE (FOSE2017). 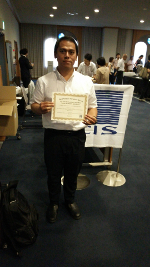 Mr. Yamauchi (master course student), Prof. Aman and Prof. Kawahara received the IEICE SIG-SS incentive research award of 2016. Our PhD student (Mr. Aji) and master course student (Mr. Suzuki) made their presentations at BCD2017; Mr. Aji received Best Student Presenter Award. Our three papers were accepted for presentation at The 2nd International Conference on Big Data, Cloud Computing, and Data Science Engineering (BCD2017). Our paper ``Change-Prone Java Method Prediction by Focusing on Individual Differences in Comment Density,'' was published in IEICE Trans. Inf. & Syst. Mr. Yamauchi (master course student), Prof. Aman and Prof. Kawahara were singled out for the IEICE SIG-SS incentive research award of 2016. 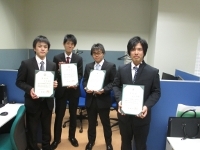 The award ceremony is going to be held in July. 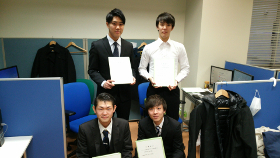 Our undergraduates (Mr.Ishihara, Mr.Nakamoto and Ms.Matsuoka) received their bachelor degrees (engineering). Prof. Aman made his presentaiotn at The 8th IEEE International Workshop on Empirical Software Engineering in Practice (IWESEP2017) and won the best presentation award. 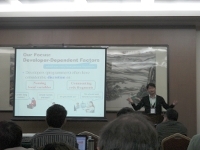 Our master course student (Mr. Suzuki) presented his work at IEICE SIG-SS workshop. 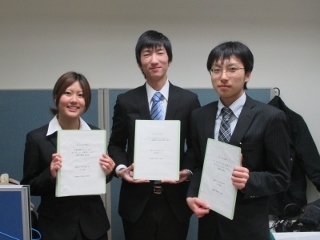 Our undergraduates (Mr.Ishihara, Mr.Nakamoto and Ms.Matsuoka) made presentations on their bachelor theses. Our master course students (Mr. Suzuki and Mr. Yamauchi) made their poster presenations at JSSST the 23rd Foundations of Software Engineering Workshop (FOSE2016). 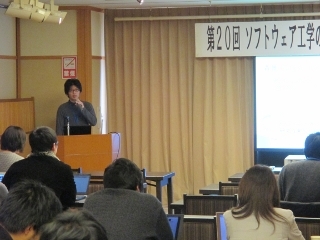 Our master course student (Mr. Suzuki) presented his work at IPSJ SIG-SE workshop. Prof. Aman made his presentation at SEAA2016 held in Limassol, Cyprus. 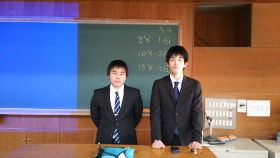 Our master course students (Mr. Yamauchi and Mr. Suzuki) presented their work at IEICE SIG-SS workshop. 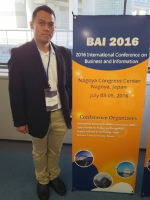 Mr. Aji (D1) made his presentation at BAI2016 held in Nagoya, Japan. Our paper ``A Bug Triaging Method for Reducing the Time to Fix Bugs in Large-Scale Open Source Software Development'' (in Japanese) (Authors: Mr. Kashiwa, Prof.Ohira (Wakayama Univ. 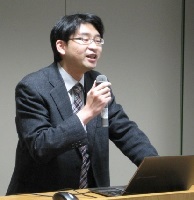 ), Prof.Kamei (Kyushu Univ.) and Prof.Aman) was seleced as IPSJ Best Paper in 2015. Our paper "A Study to Reduce the Life Cycle Cost of the Railway Signaling System that Con- sidered the Economic Loss Cost that the Equipment Fault Gave to Passengers" was published in IEICE Transactions on Information and Systems. 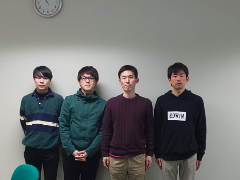 New members (undergraduates), Yuta Ishihara, Kazuhiro Nakamoto and Riona Matsuoka, joined our lab. 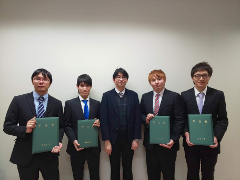 Our graduate students (Mr.Oda, Mr.Kato and Mr.Nakano) and undergraduates (Mr.Suzuki, Mr.Hosoya, Mr.Yamauchi and Mr.Yoshioka) received their degrees. 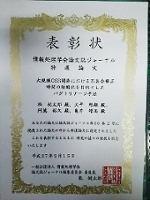 Our paper ``An Efficient Regression Testing based on Test Case Clustering and 0-1 Programming Model'' (in Japanese) was awarded the 9th ASTER Zengo prize. Our paper ``Empirical Study of Change-Prone and Fault-Prone Method Prediction Focusing on Comment Onwership'' was accepted for presentation at International Conference on Business and Information (BAI2016). 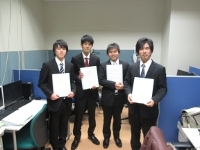 Our undergraduates (Mr.Suzuki, Mr.Hosoya, Mr.Yamauchi and Mr.Yoshioka) made presentations about their bachelor theses. 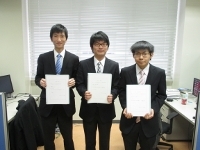 Our graduate students (Mr.Oda, Mr.Kato and Mr.Nakano) made presentations about their master theses. 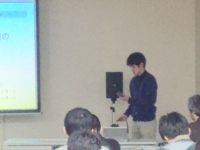 Our undergraduate (Mr.Yamauchi) presented his work at IPSJ SIG-SE Winter Workshop in Zushi. 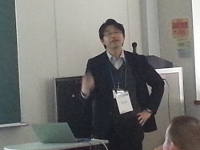 Our master course student (Mr. Kato) presented his work at IEICE SIG-KBSE Workshop. 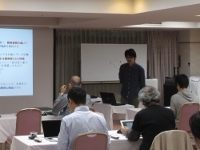 Our master course student (Mr. Oda) presented his work at IPSJ SIG-SE 190th Workshop. Our paper "Lines of Comments as a Noteworthy Metric for Analyzing Fault-Proneness in Methods" was published in IEICE Transactions on Information and Systems. 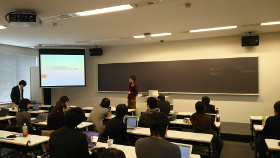 Our master course student (Mr. Nakano) presented his work at FORCE 2015. Prof. Aman gave the invited talk at FORCE 2015. 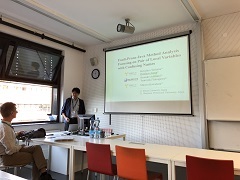 Prof. Aman made a presentaion about our paper ``Empirical Analysis of Change-Proneness in Methods Having Local Variables with Long Names and Comments'' at ESEM2015. New member (PhD student), Aji Ery Burhandenny, joined our lab. 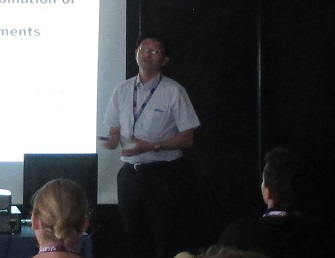 Prof. Aman made a presentaion at IPSJ/SIGSE Software Engineering Symposium (SES2015). 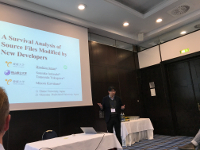 Prof. Aman made a presentation about our paper ``Predicting Fault-Prone Methods focusing on the Combination of Inner Comments and Documentation Comments'' at Work in Progress session of the 41th Euromicro Conference on Software Engineering and Advanced Applications (SEAA2015) in Funchal, Madeira, Portugal. Our paper "Lines of Comments as a Noteworthy Metric for Analyzing Fault-Proneness in Methods" was accepted by IEICE Transactions on Information and Systems (to be published in December). Our paper ``An Efficient Regression Testing based on Test Case Clustering and 0-1 Programming Model'' (in Japanese) was published in Computer Software (JSSST Journal). 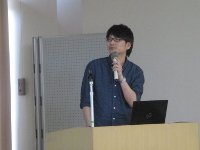 Our master course student (Mr. Nakano) presented his work at IEICE SIG-SS workshop. Our paper studying length of local variable's name, length of local variable's scope and presence of comments in faulty methods (in Japanese) (Authors: Prof.Aman, Prof.Amasaki(Okayama Pref. Univ. 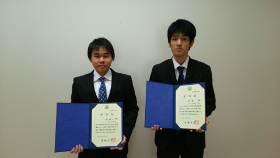 ), Prof.Sasaki and Prof.Kawahara) was accepted for presentation at IPSJ/SIGSE Software Engineering Symposium (SES2015). New members ( four undergraduates ) joined our lab. 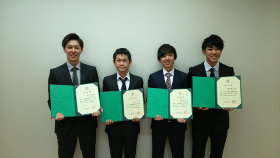 Our graduate student and undergraduate students received their degrees. 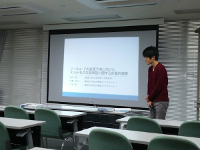 Our graduate student (Mr.Oda) made a presentation about his master thesis. Our paper ``A Bug Triaging Method for Reducing the Time to Fix Bugs in Large-Scale Open Source Software Development'' (in Japanese) (Authors: Mr. Kashiwa, Prof.Ohira (Wakayama Univ. 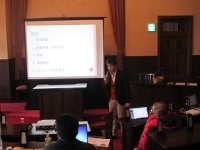 ), Prof.Kamei (Kyushu Univ.) and Prof.Aman) was published by IPSJ Journal, and it was awared as the specially selected paper. 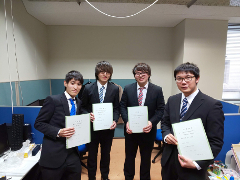 Our undergraduate students (Mr.Ogawa, Ms.Shigenobu, Mr.Takaichi and Mr.Fujii) made presentations about their bachelor theses. Prof. Aman presented our collaborative research with TOSHIBA at JSSST 21st Foundation of Software Engineering Workship in Kagoshima, Japan. 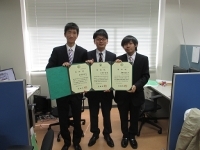 Our master course students (Mr. Kato and Mr. Nakano) presented their research posters at JSSST 21st Foundation of Software Engineering Workship in Kagoshima, Japan. 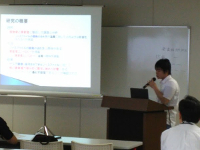 Our master course student (Mr. Oda) presented his work at the 10th Forum on Reliable Computer Software Workshop (FORCE2014) in Onomichi, Hiroshima, Japan. 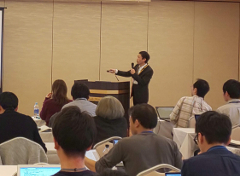 Prof. Aman presented our paper ``Empirical Analysis of Fault-proneness in Methods by Focusing on their Comment Lines'' at 2nd International Workshop on Quantitative Approaches to Software Quality (QuaSoQ 2014) in Jeju, Korea. Prof. Aman gave the invited talk at JaSST 2014 Shikoku. 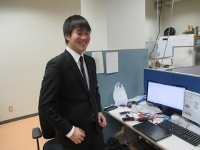 Our master course student (Mr. Oda) presented his work at the 186th IPSJ SIG-SE workshop. 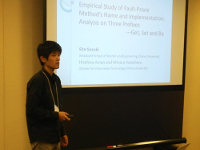 Our paper ``Empirical Analysis of Fault-proneness in Methods by Focusing on their Comment Lines'' was accepted for presentation at 2nd International Workshop on Quantitative Approaches to Software Quality (QuaSoQ 2014) in Jeju, Korea, Dec.1, 2014. Our paper ``A Method for Selecting Test Patterns for Defect-Aware Test by using 0-1 Integer Liner Program'' (in Japanese) was accepted by Journal of Reliability Engineering Association of Japan. 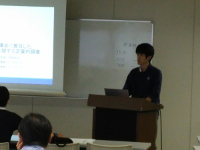 Our paper "A Proposal of Regression Testing Planning Method using History Based Clustering of Test Cases and 0-1 Programming Model" (in Japanese) was accepted as a full paper at JSSST 21st Workshop on Foundations of Software Engineering (FOSE2014). 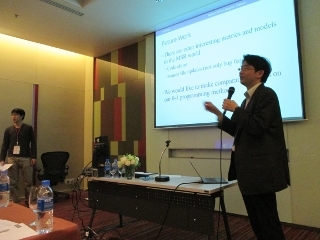 Mr. Kashiwa, Prof.Ohira (Wakayama Univ. 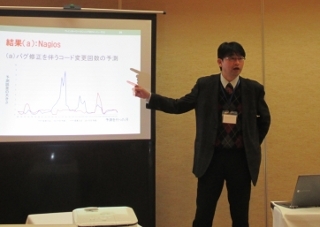 ), Prof.Kamei (Kyushu Univ.) 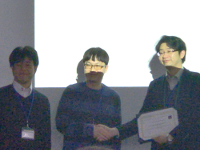 and Prof.Aman got the best paper award at IPSJ Software Engineering Symposium 2014 (SES2014). 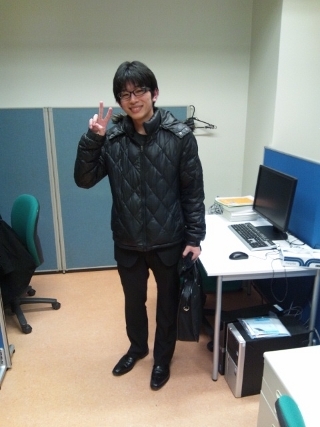 Our master course student (Mr. Oda) presented his work at IPSJ Software Engineering Symposium 2014 (SES2014). 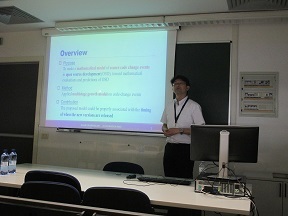 Prof. Aman made a presentation about our paper ``Multistage Growth Model for Code Change Events in Open Source Development: An Example using Development of Nagios'' at 40th Euromicro Conference on Software Engineering and Advanced Applications (SEAA2014), in Verona, Italy. Our paper ``Investigation of Convergence Tendency of Code Clone Ratio in Open Source Development (in Japanese),'' was published in IEICE Transactions on Information and Systems, Vol.J97-D, No.7. Our paper "Multistage Growth Model for Code Change Events in Open Source Development" was accepted for presentation at 40th Euromicro Conference on Software Engineering and Advanced Applications (SEAA2014). Prof. Aman is going to give a presentation at the conference. New members joined SE Lab. Our mastar course student and bachelor course studens recieved their master degree of engineering and bachelor degree of engieering, respectively. 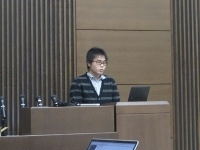 Our master course student (Mr.Inoue) made presentation about his master thesis. 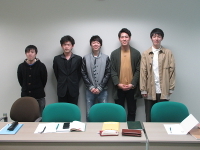 Our bachelor course students (Mr.Oda, Mr.Kato, Mr.Nakamura, Mr.Honda, and Ms.Yamashita) made presentations about their bachelor theses. 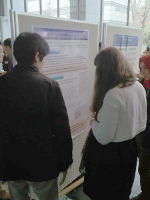 Ms. Yamashita and Prof. Aman presented their research results at WWS2014 in Oarai, Ibaraki, Japan. Prof. Aman presented his research results at IWESEP2013 in Bangkok, Thailand. 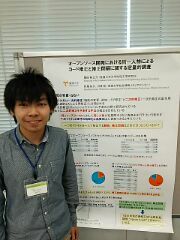 Mr. Shinya Inoue (M2) presented his research results at JSSST FOSE2013 (in Japanese) in Kaga, Ishikawa, Japan. Prof. Aman gave an invited talk at IEICE SIG-KBSE. Members page has been opened. Lab website has been launched. One professor, four graduate students and four undergraduates belong to this laboratory. We have been studying topics of software engineering, especially, the empirical data-oriented software development management and quality management. We also have been developing research-related tools. Wiki page for Lab. members (in Japanese). Web pages of Prof. Aman's lectures (in Japanese). Links to related organizations/laboratories and useful sites. 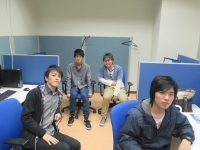 Our laboratory is on the 2nd floor, Center for Information Technology, Ehime University.